Update: This petition has attracted lots of support and attention from around the world. It's even been the subject of a bot attack, but your information is safe. Sheikh Nasser bin Hamad Al-Khalifa is the President of the Bahrain Olympic Committee. As such he is entitled to attend all events at this year's Olympic 2012 in London free of charge, receive discounted accommodation in a luxury hotel and be chauffeured to and from the Games in a BMW. In last year's "Arab Spring" protests in Bahrain he publicly called on TV for "a wall to fall on the heads" of all those who demonstrated against the Government, including athletes and went on to head a committee that targeted 150 sportsmen and sports officials, including a disabled athlete. They were arrested, imprisoned and many were tortured. 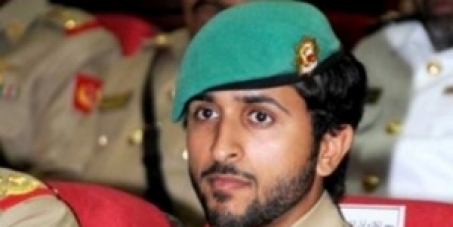 Some prisoners claim that they were personally beaten or tortured by Sheikh Nasser himself. Their crime? Peacefully demonstrating and calling for the downfall of the Al Khalifa ruling monarchy of which Sheikh Nasser is a leading member and the King's son. At the very least, Sheikh Nasser has been directly responsible for wrecking the sports careers of these athletes and overseeing their removal from national and local teams. As a supporter of universal human rights and democracy I do not believe that the UK and the IOC should favour someone who clearly uses sectarian prejudice against sportsmen, sports officials and athletes, destroys their careers and is implicated in their torture. On these grounds I call on David Cameron to declare Sheikh Nasser's presence in the UK as "undesirable" and prevent his entry on that basis and for Jacques Rogge to withdraw the IOC's invitation to him to attend the London Olympic Games in July.